Oh, June. You have been SO good to me, and I don't think I'll ever forget it. 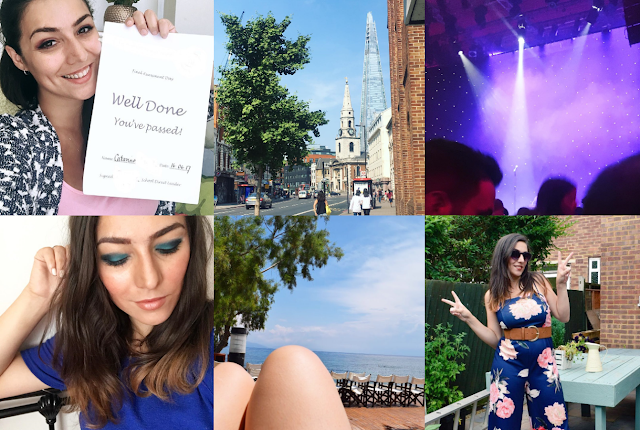 From probably the best holiday ever to hitting a life long goal and milestone, it's been a memorable month and I couldn't have asked for a lovelier month. So if you read my last Life Through Instagram post, you'll know that I was midway through a holiday over May, June and enjoyed the first day of the month in the beautiful and tiny island of Nisyros. 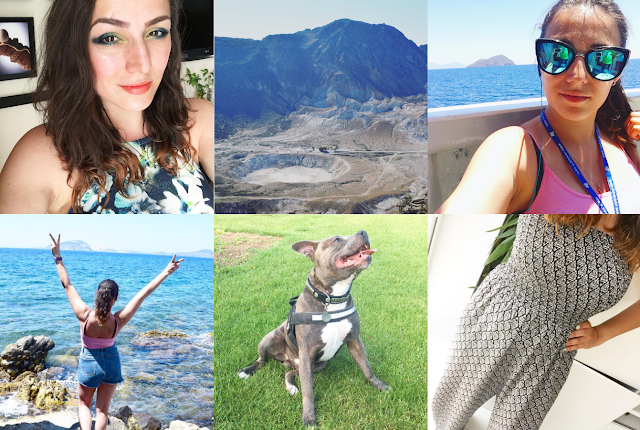 I wrote this post all about our day out there and how we'd visited the island's volcano and stood in Stefanos Crater. It was a lovely way to spend mine and John's 6 and a half year anniversary coincidentally! As I mentioned before, it was such a lovely and relaxing holiday and even now I can't stop thinking about how lovely it was and how much I'd love to return, even down to the same hotel. If you want to I wrote lots about my holiday in this post too. When I came back it was straight to work on about 3-4 hours sleep! Not to worry though, I caught up on sleep the next evening falling asleep pretty much an hour after I got home from work. It was work, work, work for a couple of weeks especially with my assessment deadline two weeks after I got back from my holiday and I can happily say that I passed my assessments and I achieved qualifying teacher status that day! I cried with happiness. I don't think I'd ever been that happy. Later on in the month I went to watch Joel Dommett's Live Tour with my brother. He's invited me to go with him to the Bedford show and I laughed so hard that night. We had really good seats and the jokes were just hilarious. It was a good brother-sister night! Just yesterday, the very last day of the month, was the highlight of my month. Graduation day. I couldn't believe the day had finally come and I was so, so happy. My brother and boyfriend came with me to watch me get my certificate and I then went to John's house to celebrate not only my graduation but his brother passing his degree too! We had lots of cake and a difficult-to-light barbecue! It was such a lovely day and I couldn't have asked for anything better. This July I'm looking forward to: spending some time on the blog, running my 5k, catching up on some reading and finishing off the school year. I hope you've had a lovely month! Let me know what you've been up to or if you have anything nice planned for July? Well, July is the month of my birthday so other than work, I've been to twycross zoo, shopping and having a house party so far! Hehee so want to go to Greece! Miss you girl! So proud of you for passing your course! !